A stoop is a small staircase ending with a platform leading to the entrance of a home or building. Pavers Driveways VA has been building and restoring quality stoop and steps for the past 25 years all across the Northern Virginia, Washington DC, and Maryland area. Pavers Driveways VA will determine whether your current stoop and steps needs be demolished and rebuilt or if only minor repairs and resurfacing are necessary. Whether you are located in a residential area in Great Falls, Sterling, Vienna, Leesburg, Gainesville, Tyson’s Corner, Centreville, Washington DC, Maryland, or Clifton we promise you the best quality stoop and steps. Stoop and steps are usually built with patios, walkways, and decks. 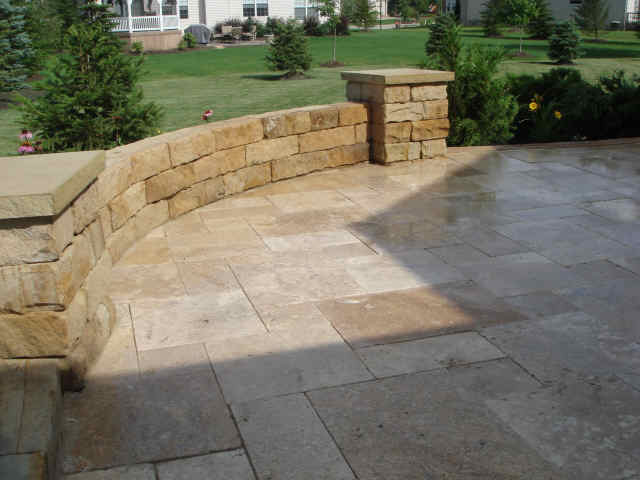 There are many materials your stoop and steps can be constructed from or resurfaced with such as stone, stone pavers, paving stones, paver stones, pavers, natural stone, river rock, cobblestone, or naturally jagged shaped stone. Flagstone is another option which includes various sizes, shapes, and shades. There are naturally shaped flagstone and uniformly shaped flagstone. Some of Pavers Driveways VA most popular flagstone are travertine, Pennsylvania bluestone, Vermont slate, reclaimed granite, limestone, slate, quartz, Tennessee limestone, and sandstone. Brick is always a timeless option for patios, walkways, and resurfacing stoops and steps. Bricks and brick pavers come in a variety of textures, colors, and shades. Interlocking pavers are another option for patios, walkways, and resurfacing stoops and steps. Pavers are beautiful and come in a variety of colors and shapes that can be laid in endless patterns. 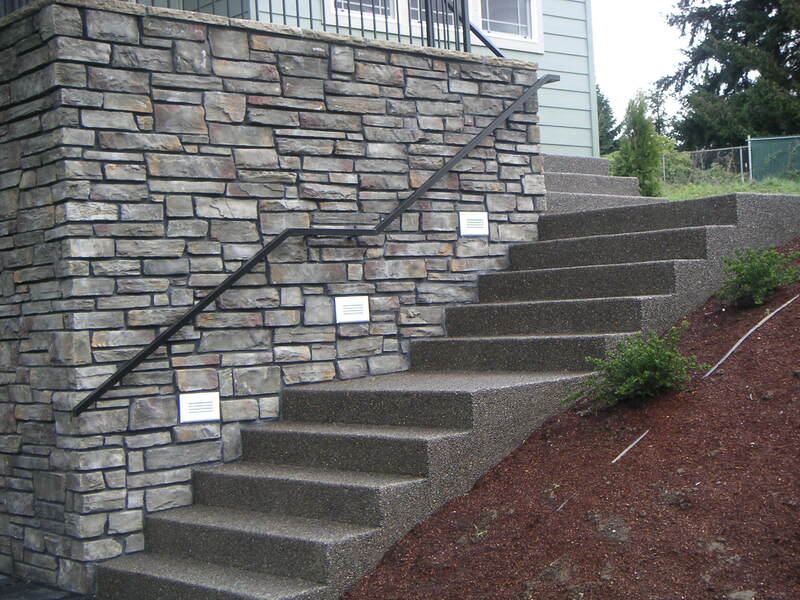 Concrete is durable, easy to maintain, and the most popular option for stoops and steps. Concrete can very easily be poured in a variety of shapes and colors. There is also stamped concrete which creates the look of brick or stone, with the durability of concrete. Pavers Driveways VA constructs and resurfaces stoops and steps from only quality natural stone, stone, flagstone, brick, concrete, and interlocking pavers. We proudly serve Fairfax County VA Loudoun County VA Prince William County VA Fauquier County VA Alexandria VA Annandale VA Arlington VA Ashburn VA Baileys Crossroads VA Bristow VA Burke VA Catharpin VA Centreville VA Chantilly VA Clifton VA Culpeper City VA Culpeper County VA Dulles VA Dunn Loring VA Fairfax VA Falls Church VA Fredericksburg City VA Ft Myer VA Gainesville VA Great Falls VA Haymarket VA Herndon VA Leesburg VA Linden VA Lorton VA Madison County VA Manassas VA Manassas City VA McLean VA Montgomery MD Nokesville VA Oakton VA Orange County VA Reston VA Stafford County VA Sterling VA Tyson’s Corner VA Vienna VA Warrenton VA Washington DC Woodbridge VA. Please feel free to contact us for a free consultation.